Obituary for Richard J. David | Seamon-Wilsey Funeral Home, Inc.
SAUGERTIES….. Richard J. David, 72, of Church Road died Friday, January 25, 2019 at the Northern Dutchess Hospital, Rhinebeck, NY. Born January 11, 1947 in the Bronx he was the son of the late Marton and Elsie David. A Veteran of the US Navy he served during the Vietnam War. 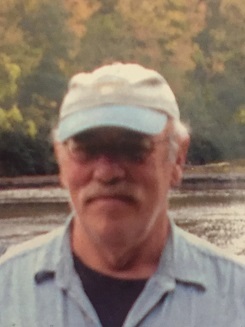 A Saugerties area resident since 1984, he previously resided in Edgewater, NJ., where he was employed as a construction supervisor of Westerman Construction Co. of Manhattan. He relocated to Saugerties and the Catskill Mountains where he thoroughly enjoyed the outdoors. He loved to camp, cross country ski, kayak and travel, and avid outdoorsman who even enjoyed splitting his own wood. Survivors include his wife, Sharon Klein, a Sister, Eleanor Yankover of Del Ray Beach, Fla. and his beloved dogs, Ozzie and Harriett. He was predeceased by his wife of 30 years, Judith Larkin and his dog, Augie. His Funeral Service will be held privately. Arrangements are under the direction of the Seamon-Wilsey Funeral Home, Inc. Cor. Of John & Lafayette Sts., Saugerties. Expressions of condolence may be shared with his family on Richard’s Tribute Wall @SeamonWilseyFuneralHome.